As everyone who has read my blog before knows that I LOVE Taylor Swift with a passion. I believe she is one the most talented people on the planet and I also think that she is a genuinely great human being. So it probably doesn’t come as a surprise for most when I say that I am rooting for her to win Album of the Year for her fourth album Red at tomorrow night’s Grammy Awards. But there is much more than my love for her that is making me root for her to win. You see, for years my Taylor had been the sweet girl next door, and beautifully so, but with Red, for the first time, she was a full-on superstar. She had confidence that she could go from the chaotic-EDM ending of I Knew You Were Trouble to the gentle guitar strumming that starts the powerhouse of emotion that is All Too Well. And it was wonderful. That is one of the things I love most about this record, it’s courage to take risks and the beautiful payoffs it has. The huge drum beats, the dub-step, the pianos, the guitars, the mandolins, and the poppy bubblegum happiness that is 22 makes this album exciting. The lyrics are a huge part of that as well. She is one of, if not the best, songwriter of her generation, and her lyrics have always shown that. She can take a state of mind, for example what it is like to be young, and turn it into the complex and slightly heartbreaking line “We’re happy, free, confused and lonely in the best way.” I mean, how does she do it? How does she wrestle with so many emotions to make a single, shattering line that explains your youth. Pretty brilliant if you ask me. 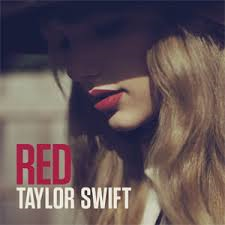 This Post was tagged Album of the Year, Grammys, Lyrics, red, Taylor Swift. Bookmark the permalink.